Home / Posts tagged "Trenton New Jersey Personal Injury Attorneys"
After any slip and fall accident the normal and natural reaction is embarrassment. And usually a feeling that it was your fault or a simple mistake on your part. If the injury is not immediately debilitating, many people will try to move away from the scene of the incident as quickly as they are able regardless of the injuries they may have just sustained. However there are several factors that you should take into account. Such as the accident may not have been your fault. It may have been the result of negligence on the part of the property owner and may fall under the laws that govern premise liability. Also if you do not have documentation of the accident it may be difficult to receive financial compensation for injuries that may cause you to be unable to work and may significantly lower your quality of life. Kamensky Cohen & Riechelson is an highly experienced firm oriented toward results and consisting of skilled negotiators and tenacious attorneys who know how to win for you in the courtroom. Our team of lawyers includes a certified trial attorney who has been selected for inclusion in the prestigious NJ “Super Lawyers,” meaning they are in the top five percent of all New Jersey lawyers. If you are looking for an experienced personal injury attorney, Kamensky Cohen & Riechelson is the choice for you. We are led by Jerrold Kamensky, and our accomplished and top notch team of attorneys have a proven record of success helping injured people and their families obtain fair and just financial compensation for their losses. Contact us online or by phone at (609) 528-2596 in New Jersey or (215) 337-4915 in Pennsylvania. Seek medical treatment. Health should be your top priority following a slip, trip, and fall accident. If you believe you have been hurt, it’s important to see a doctor so that your injuries can be properly diagnosed and documented. Medical records will be important pieces of evidence if you decide to seek compensation for your injuries. Report the incident. No matter the location of the slip, trip, and fall accident be sure to report it to a manager, owner or landlord. Do not forget to get the details of the incident in writing—ask the manager, owner or landlord to make a written report, and request a copy before you leave. It is very important to document everything. Be sure to collect the names, addresses, phone numbers as well as email addresses for all potential witnesses. Their statements could go along way toward proving your claim. It is an excellent idea to take pictures of the exact location where you fell and make sure to photograph any stairs, icy patches, or other conditions that contributed to your accident. Write down what you were doing right before the accident, the way you fell, and any other details, including the exact time and date. Also, shoes and clothing you were wearing during the accident may be relevant pieces of evidence later. Contact an attorney. If you are considering legal action it is important to have an experienced lawyer on your side. Since many slip, trip, and fall cases can be complex and difficult to prove the resources of an experienced and successful law firm can make all the difference. You know if you fall down and you’re shopping or you’re in somebody else’s property they’ve got a lot of responsibility to provide a safe place for you. There’s a lot we can do if you contact us immediately we get out we photograph, we measure, we get the case ready. Very frequently a problem that’s in a parking lot, for example, might get paved over we want to see it so, we can prove your case in the best way possible when we get to court. I think there’s a misconception that if you’re involved in a certain fall it’s your fault. Often we find that people injured while shopping, they’re looking at shelves as the industry wants them, to buy items and they’re not seeing the dangerous conditions that are on the ground there’s an obligation upon the stores to protect from dangerous conditions. Call us come on in we will determine whether or not there’s a viable claim that we can pursue. The right attorney can make all the difference toward gaining a successful and satisfactory resolution to your claim. If you or someone close to you suffered a personal injury in a slip and fall accident contact the experienced attorneys at Kamensky Cohen & Riechelson. Since 1972, we have worked with clients in Trenton, Princeton, Lawrence, Hamilton, New Brunswick and all over Mercer County NJ as well as Bensalem, Northeast Philadelphia, Levittown, Feasterville, Millbrook, Penndel and all over Bucks County PA, and we are here to help you pursue just financial compensation for your losses. Contact us online or by phone at (609) 528-2596 in New Jersey or (215) 337-4915 in Pennsylvania. Our knowledgeable attorneys will be happy to answer all of your questions and advise you on the most effective legal options available in your case. Work related injuries have always and will always occur. An injured worker may often have one of two (or both) avenues to financial compensation depending on the cause and location of the injury: a workers compensation claim and/or a personal injury claim. It is important to note that the two are not mutually exclusive, and while you usually can not sue your own employer if you are injured while working, injury victims are allowed to file personal injury claims against other negligent third parties. There are however significant differences between the two types of injury claims, namely the requirements to secure compensation, and the type and amount of compensation that can be secured. Since 1972 our attorneys at Kamensky Cohen & Riechelson, have worked handling workers’ compensation claims that involve third party personal injury claims across Mercer County New Jersey and Bucks Count Pennsylvania as well as surrounding communities. Our firm works to guide you through the legal process using our experience and skill while keeping you informed every step of the way. Our firm goal has always been to help you obtain maximum compensation for your losses. Contact us online or by phone at (609) 528-2596 in New Jersey or (215) 337-4915 in Pennsylvania. Any employee injured on the job is entitled to workers’ compensation benefits, with some very limited exceptions. Workers’ compensation does not require specific fault or negligence. You do not have the obligation to prove that your employer or your co-workers did anything wrong in order for you to receive workers’ compensation benefits. Even if your own negligence caused your injury, you are entitled to receive workers’ compensation benefits. In all personal injury cases fault is a necessary and critical element. In the absence of clear fault due to recklessness or negligence there can be no personal injury restitution. In short, you must be injured, and that injury must be proven to be due to the negligence of another party for any successful personal injury claim. Though they very similar there are several significant legal differences between workers compensation and personal injury claims. The most important difference between personal injury and worker’s compensation is that personal injury claims are based on fault and workers’ compensation cases are not. If you got injured on the job it doesn’t matter whose fault it was, call us we will be able to get your recovery if you’ve been injured on the job. Time can borrow your ability to recover you don’t have to worry about bringing a workers compensation claim; your boss can’t fire you, can’t punish you. We have a Labor Department that will protect you from anything that your employer might try to do by way of retaliation. We know your rights beyond workers compensation you have limited rights against your employer but you have much greater rights if there’s another party involved that caused your injury, we’ll take care of you, you’re an American worker we serve people. The Law Office of Kamensky, Cohen & Riechelson has, since 1972, helped many clients across Trenton, Hamilton, Princeton, Lawrence, and the greater Mercer County area as well as Bucks County Pennsylvania and surrounding communities, to recover compensation from all kinds of work related and personal injuries. Over the course of 40+ years we have built a reputation as tenacious and skilled litigators who don’t accept settlements that are not everything our clients deserve. Our personal injury team is lead by a New Jersey Certified Civil Trial Attorney who has also been selected for inclusion in the NJ Super Lawyers list as it relates to personal injury law, a truly elite distinction. Please contact us online or by phone at (609) 528-2596 in New Jersey or (215) 337-4915 in Pennsylvania for a free and confidential discussion about your case. Traumatic brain injury often results from a violent blow or jolt to the head or body. Mild traumatic brain injury may temporarily affect your brain cells. More serious traumatic brain injury may result in bruising, damaged tissues, bleeding as well as other physical damage to the brain. These injuries may result in long-term complications or even death. It is difficult enough on an individual and their family when this type of injury occurs. However, it can be even more of a blow when the injury is the result of someone else’s negligence. Since 1972 our attorneys at Kamensky Cohen & Riechelson, have gained significant experience handling personal injury claims that involve traumatic brain injury across Mercer County New Jersey and Bucks Count Pennsylvania as well as surrounding communities. Our firm will work to guide you through the legal process using our experience and skill while keeping you informed every step of the way so that you know exactly what is happening with your case. Our goal has always been to help you obtain maximum compensation for your losses. Contact us online or by phone at (609) 528-2596 in New Jersey or (215) 337-4915 in Pennsylvania. Traumatic brain injury has a wide-range of physical and psychological effects. Some signs or symptoms may appear immediately after the traumatic event, while others may appear days ,weeks and even months later. It is highly recommended to see your doctor if you or your child has received a blow to the head or body that concerns. Seek emergency medical care if there are any signs or symptoms of traumatic brain injury following a recent blow or other traumatic injury to the head or severe jolt or blow to the body. If you believe the injury was the fault of a third party then it is advisable to gain representation of a knowledgeable personal injury attorney as well. People start to forget, they start to have difficulty doing easy tasks we are very cognoscente to that. Injuries especially very frequently in fold downs and automobiles accidents result in an impact to the head that are direct or just because of flies’ forwards and backwards the brain goes backwards and forwards inside the head and gets injured. What we then do is we connect you to the right experts, not only for our case for you but for your treatment so you can achieve the maximum improvement possible giving your circumstances. We are concerned for your recovery and we are concerned for your health, we know how to help you with both. Call us we know what look for, we know who you get to get taking care of. At The Law Office of Kamensky, Cohen & Riechelson, our attorneys have helped many clients across Trenton, Hamilton, Princeton, Lawrence, and the greater Mercer County area as well as Bucks County Pennsylvania and surrounding communities, to recover compensation from all kinds of personal injuries, including traumatic brain injuries. As insurance companies know, over the course of the 40+ years we have built a reputation as tenacious and skilled litigators who won’t accept settlements that are just “good enough”. Our personal injury team is lead by a New Jersey Certified Civil Trial Attorney who has also been selected for inclusion in the NJ Super Lawyers list as it relates to personal injury law, a truly elite distinction. Please contact us online or by phone at (609) 528-2596 in New Jersey or (215) 337-4915 in Pennsylvania for a free and confidential discussion about your case. For most of us the bulk of each day is spent in and around the workplace. Maintaining high productivity should be the goal of any employer and good employee. Lack of proper safety is a direct threat to maintaining high productivity as it can cause personal injuries to your employees resulting from workplace accidents which can lead to workers’ compensation claims. In essence, lack of proper safety protocol is a direct threat to the viability and profitability of any business. If you as an employer would like to know more about what qualifies as workers’ compensation injuries and common workers’ compensation insurance issues or as an employee would like to learn more about winning a workers’ compensation claim then contact the skilled lawyers at Kamensky Cohen & Riechelson. We proudly serve Princeton, Lawrence, Hamilton, New Brunswick, Trenton and all of Mercer County. 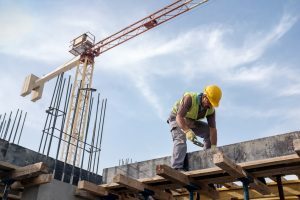 Our vast experience in the areas of work related injuries and illness makes us the source of knowledge you need for all types of traumatic injuries, repetitive stress injuries, ocupational diseases, pulminary and respitory injuries, exacerbation claims or any of the myriad of possible work related hazards. Contact us online or by phone at (609) 528-2596 in New Jersey or (215) 337-4915 in Pennsylvania. Building and maintaining a safety culture begins from the top down with management. Meaning that those in leadership roles must lead by example. Safety must be maintained as the most important component of your daily work activities. When employees see managers and management engaging is safe work practices it has a very positive “trickle down” effect. It is important for management to set down clear safety procedures and protocol. This includes outlining in clear written and verbal form to all employees the proper safety gear that must be utilized for any particular activity as well as making sure that the proper safety gear is available and in proper working order for the use of your employees. Training all employees in proper safety methods is critical to any safety culture and safe work environment. All employees should be completed trained in the correct and safest way to perform their jobs according to your business’ established safety protocols. This training is best given by the most qualified individuals available. Open lines of communication between employees and management can help to identify previously unidentified safety issues. One on one conversations as well as group conversation will serve for many employees and will provide critical feedback. Also anonymous written survey serve well for getting information from employees who may not feel comfortable expressing their concerns publicly. The costs of making your workplace safer is one of the primary reasons that some employers neglect these responsibilities. However this is extremely short sited. According to the Bureau of Labor Statistics 2,000 eye injuries occur in the workplace each day amounting to more than $300 million in medical expenses, not to mention workers’ compensation claims and lost productivity. The true question is not if a business can afford to build a proper and safe environment for everyone who works there but if they can afford not to. Kamensky Cohen & Riechelson serves clients in Trenton, Princeton, Lawrence, Hamilton, New Brunswick as well as all over Mercer County and other New Jersey communities. Our firm has built a solid reputation based on our vast knowledge and experience working with personal injury claims as well as workers’ compensation and illness issues. Our experienced workers’ compensation attorneys can provide you with the knowledge you need to make informed decisions about workers’ compensation and illness issues. For a free consultation with a member of our talented team, contact us at 609-528-8296 Toll Free: 888-979-6871. Map and Directions. The recent train accident in Hoboken NJ that resulted in more than 100 people sustaining injuries and one person tragically dying is still being investigated by federal safety officials. On September 29, 2016, an NJ Transit train on the Pascack Valley Line train went past the bumper block on the tracks at Hoboken Terminal and moved through the rail concourse at a very high rate of speed. The train slammed into the wall and caused significant damage to the train station, as well as significant physical injuries to many of the passengers in the front car of the train. Additionally, the train accident resulted in debris flying through the air. The person who died in the train accident was standing on the platform waiting for the train to arrive when she got struck by debris. The victim was later identified as Fabiola Bittar de Kroon, a 34-year-old Hoboken woman who leaves behind a husband and a child. At the time of the train crash, the train was packed with commuters who were headed to work during the morning rush hour. Hoboken Terminal is a major transportation hub for people who travel from New Jersey to New York City. At this time, it is far too early to speculate on what might have caused the train accident. What is known is that the train engineer will be heavily scrutinized in the days and weeks ahead. In accordance with a law that NJ Governor Chris Christie signed off on just last month, an engineer is prohibited from operating a New Jersey Transit train if he has a prior conviction for Driving While Intoxicated (DWI) or Driving Under the Influence (DUI). The National Transportation Safety Board (NTSB) is actively investigating the train crash. One aspect of the accident that investigators will surely be looking at is the train’s lack of positive train control on the brake system. Positive train control is something that some lawmakers and safety experts have wanted installed in all trains operating on US railroad tracks because it can help to slow a train in the event that the engineer faints or otherwise becomes incapable of applying pressure to the brake before arrival at a station. In this case, NTSB investigators will probably need to speak with the engineer in order to determine exactly why the train did not slow down as it approached the Hoboken Terminal.